Come watch the Second of the 2012 Presidential Debates with us at Pecker's Bar in Dallas. This is a FREE event, and there will be a bar open for you to purchase drinks, etc. 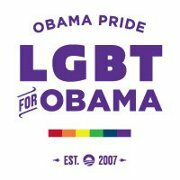 Please bring a little cash, we will have Obama 2012 merchandise available for purchase with all proceeds from these items going to LGBT Get Out the Vote efforts in Dallas County.